Splatoon has been a confirmed title for Switch ever since the reveal trailer last year, but up until now it was presumed that it was the first of many Wii U ports coming to the new mobile console. 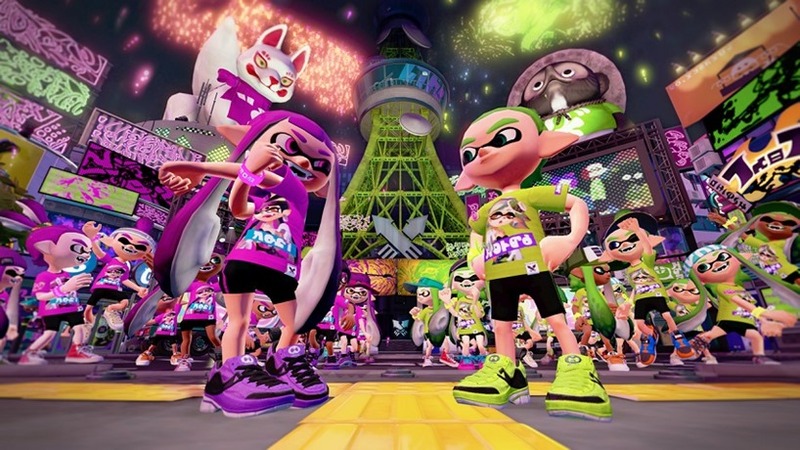 Reports also suggested that Splatoon would be a Switch pack-in, launching with the console and providing the first real gaming experience on it for most players. Neither are true, with Splatoon 2 being revealed as a full sequel to the inky shooter. Splatoon 2 looks to be using the same engine as the previous online shooter, but there’s new maps, new weapons and abilities and a brand new hub world for you to shoot the breeze in. The reveal trailer below shows off the similar frantic territory based shooting that everyone fell in love with on the Wii U, emphasising that it’s a lot more of the same good formula. Splatoon 2 won’t, however, be ready for the March launch. Nintendo stated that the shooter will be out later this year, and tie into their recently revealed paid online service for online multiplayer. Either way, it’s more Splatoon, and the world is a better place for it.